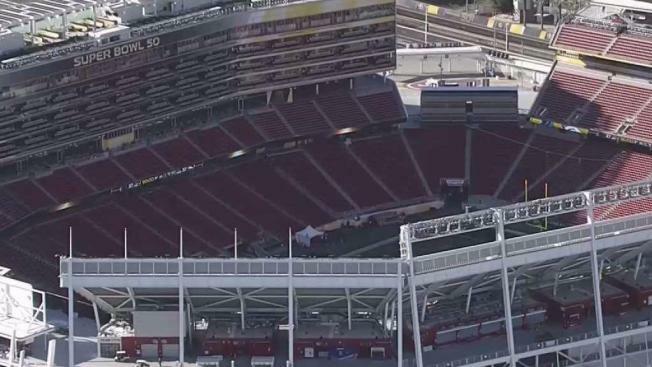 An evening curfew at Levi's Stadium has forced a popular singer to say "no thanks" to the Bay Area. Pop star Ed Sheeran was scheduled to perform at the 49ers' Santa Clara stadium on Aug. 21 during his 2018 tour. But Sheeran decided to pull out of that date because of a mandated 10 p.m. curfew on weeknight performances. Sheeran's agent said there's "no way" he would be done performing by 10 p.m.
San Francisco 49ers officials are upset with the city of Santa Clara for not allowing a waiver to lift the curfew. The team gets a percentage of any concert revenue at Levi's. Santa Clara Mayor Lisa Gillmor said that before the stadium was built, the city promised nearby residents that weeknight noise would be limited. Sheeran is scheduled to open his North American tour in Pasadena on Aug. 18.